Just a couple of weeks after Addi started kindergarten, she started limping. Then she kept saying her leg hurt. 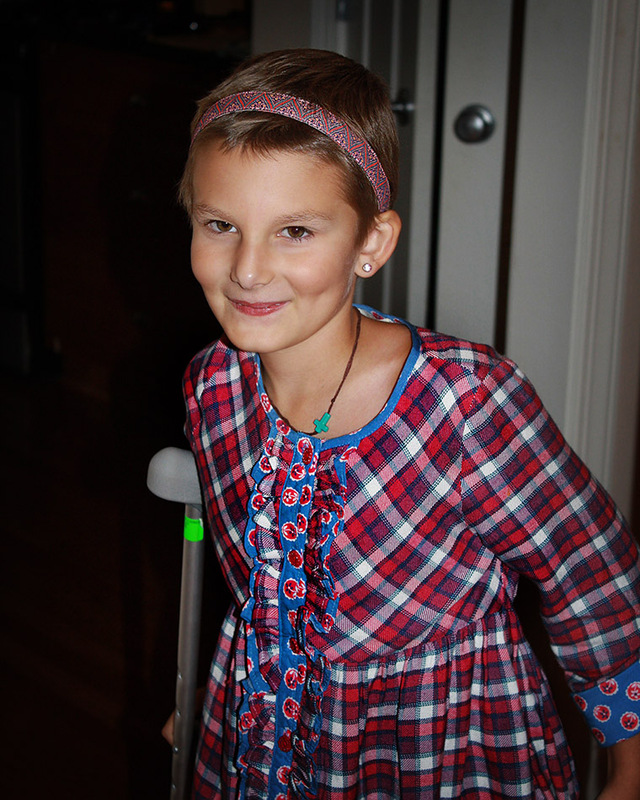 An x-ray led to the cause: osteosarcoma. Bone cancer. After that, everything in her world changed. Over the next seven months, Addi spent 117 days in the hospital, which included weeks and weeks of chemotherapy and a surgery that removed 7″ of her femur. Then at the hospital one day, Addi met Team Summer Kid Lauren and the two became fast friends! It was actually Lauren’s Team Summer gift, her puppy Hope, that brought them together! Lauren’s mom had brought Hope to the hospital for a visit and Addi wanted to pet her. Lauren says she knew right away that she wanted to give Addi a Team Summer gift. 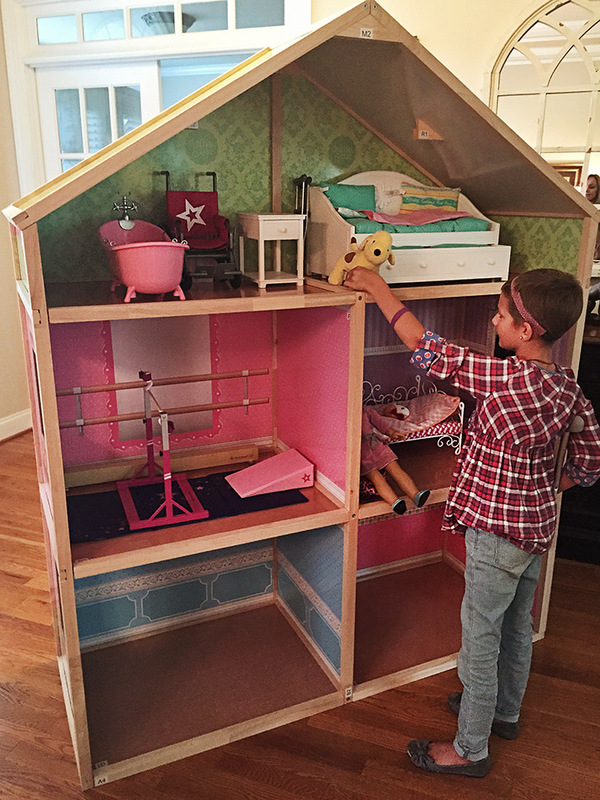 What she came up with sounded simple enough: a dollhouse. But this was SOME DOLLHOUSE!! 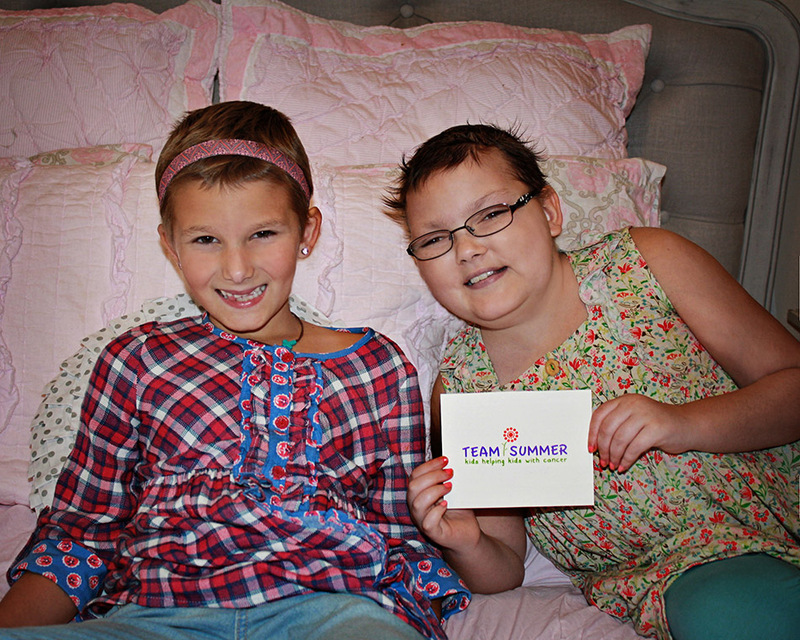 Thanks to donors like you, Team Summer was able to pull it off! 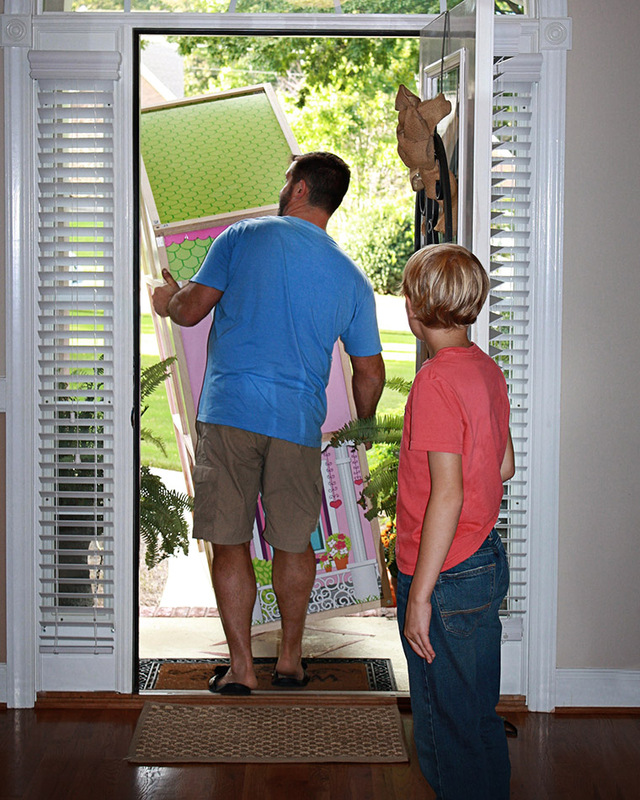 More than 6 feet tall, Team Summer had to rent a U-Haul to get it to Addi’s house. Sneaking it in wasn’t easy! 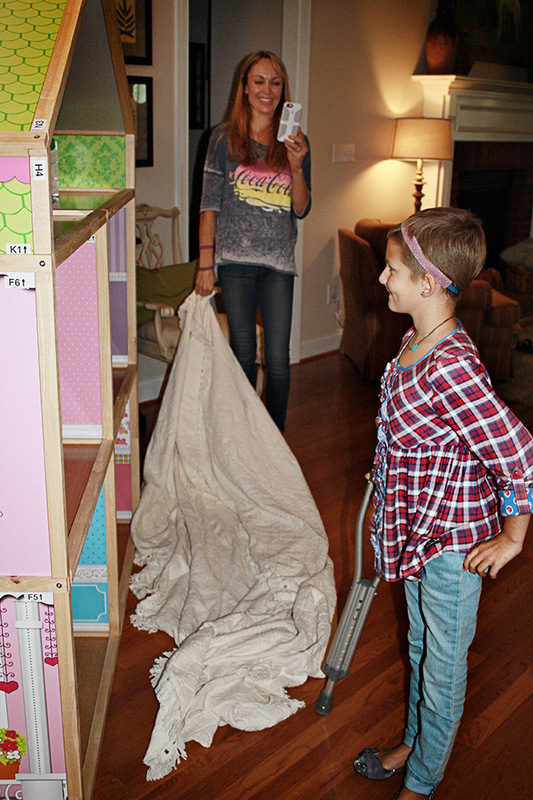 When the drape came off, we don’t think Addi could have been any more surprised! 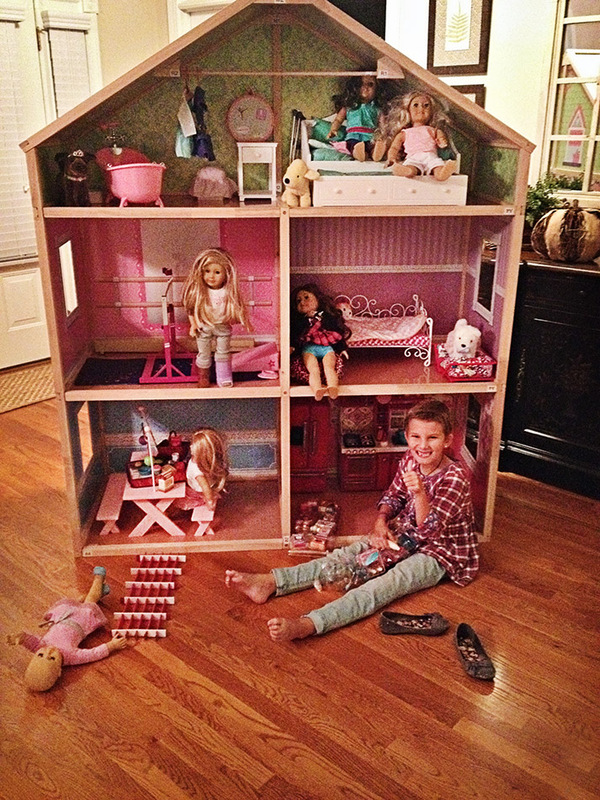 Right away, she started loading it up with dolls and furniture…. 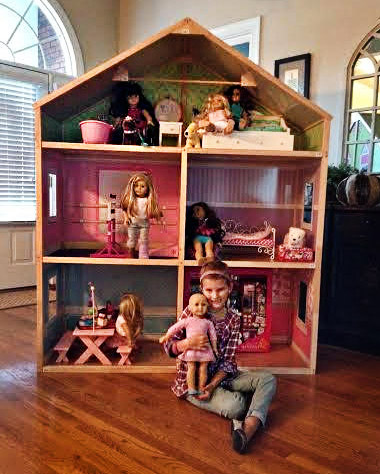 The dollhouse is now Addi’s own little world, a safe place just for her. Her mom says she plays with it every night, talking quietly to all her dolls. Lauren, great job spotting Addi in the hospital and wanting to help! That is what Team Summer is all about. Now it’s Addi’s turn to give a gift. We’re told she already has someone in mind. Shhhhhh! It’s a surprise! Wonderful to see such a terrific gift– something any girl would treasure at her age… and speaking of Treasures– Summer Dale was, and still is, a wonderful treasure to all who knew her. Love how her spirit is bright and shines on in these gifts. Keep up the great work Team Summer! And thanks to all who support her efforts.